Emmy Award–winning ABC News chief national correspondent and Nightline coanchor, Byron Pitts shares the heartbreaking and inspiring stories of six young people who overcame impossible circumstances with extraordinary perseverance. For Tania a hard lesson in rejection came at the age of four. Those were the last six words Tania ever heard from her birth mother. That’s it. Six words. Almost every day thereafter she’d repeat them to herself, and in time she’d write them down. We’re all shaped in some way by the smallest of memories from our earliest recollections of life. Sometimes it’s a scar we picked up on the playground. For Tania it was a scar placed upon her heart by her own mother’s words. Tania’s mom, Mary Johnson, had a new boyfriend and a new baby. There was no room in her life for her firstborn. The boyfriend gave Mary a choice: that child or him. Mary was little more than a teenager herself. She’d had Tania when she was sixteen, and she was a stranger to anything that resembled stability: drugs, violence, and abuse had all been part of her life. The new boyfriend offered her the chance at a fresh start, and that meant Tania was now the state’s full-time responsibility. Child protective services already had a long file on Tania. After her birth mother no longer had any use for her (Mary would reappear periodically—not to see Tania, but to mooch off of the goodwill of whoever was caring for her), Tania moved several times over the next few years, from one relative’s house to the next. Sometimes she would share a bed with a cousin or snuggle alone on a couch or the floor. Even before she’d learned to read or write, her soul understood hardship. Tania had been known to “the system” almost from birth. She had already been in and out of foster care, most often cared for by a foster mother named Gladys Dundalk. Gladys was in her mid-sixties, with two adult children and three grandchildren of her own. So by the time Tania’s mother formally rejected her, making her a ward of the state, Gladys took Tania by the hand and they headed home to a two-story shoe box of a house in a rough section of the city. This would prove to be a mutually beneficial arrangement. Tania would gain what looked like stability and safety. Gladys would get a monthly check from the state and a suitable caregiver/companion when her diabetes and fainting spells worsened. In poker terms, this was not a royal flush for Tania, but it was better than the hand she had been born with. And like any good poker player, this now six-year-old girl knew to play the hand she held, not the one she wanted. Forty years before Tania was born, the area was a thriving, working-class African American neighborhood. It was in one of the old industrial cities in the east where most men made their living in manufacturing or construction, and women worked in factories or stayed at home. Neither time nor the crack epidemic of the early 1980s have been kind to the community. Today men out of work spend much of the day peering out windows, sitting on porches, or standing on street corners. Countless heroin clinics now occupy space that once housed small businesses and churches. Drug deals take place in broad daylight. In a neighborhood that once thrived with small family-owned shops and was supported by wage earners from local factories and the shipyards, the biggest employers on the block now are the dealers. According to the Drug Enforcement Administration, every “drug corner” could have twenty to thirty thousand dollars in cash tucked behind the bricks of an abandoned building, many of which litter the neighborhood. But it is the place Tania still calls home . . . and a place that—at the time, at least—held the promise of love when Gladys officially adopted her. There is an African proverb: “It takes a village to raise a child.” In many ways the tribe Tania was born to abandoned her, and so it was left to her to build her own. The comfort of a “village” would elude her for some time. “Every day I would sit at the top of the stairs and wait for my momma to pick me up.” From age four to age ten Tania held on to hope that her birth mother would walk through the front door and rescue her. So for six years she would pass a few hours each day sitting at the top of a narrow staircase, staring down at the front door, waiting for a visitor who would never arrive. Whether it was blind optimism or childhood naivety, it ended. At age ten she abruptly stopped waiting at the top of the staircase for her mother’s return. Instead of her mom coming to rescue her, a new foster kid was added to the family. He would turn her already challenging life into a living hell. Shy by nature, Tania could muster up only a nod to her new “family member,” and he seemed to take no particular interest in her. Tania’s foster mom seemed mostly indifferent; he was another mouth to feed and additional money from the state. “He will only be here temporarily,” Gladys told Tania. It proved to be long enough. Being abandoned by her mother had been a slow and numbing pain. Coping with it had proved to be instructional. “Whenever I got sad or started missing my mother, I’d think about one of the characters in one of my books or in the Bible stories I’d learn in Sunday school. There’s always a happy ending.” It was that ability to get lost in the characters of her favorite books that now helped Tania block out the physical pain if not the psychological injury of her sexual abuse. Her grades began to slip in school. She became even more introverted. But no one seemed to take notice. So her soul and her psyche waited for her happy ending. Having been diagnosed with attention deficit disorder (ADD) in third grade, Tania had been placed in remedial math and reading classes for years. She hated it. Tania spent much of her energy trying to fit in at school, striving to be average, to be normal, and to go mostly unnoticed. For her, remedial classes screamed, NOT normal. She was teased mercilessly. Few boys talked to her, and countless girls either bullied or ignored her. She was never certain which hurt more, ridicule or rejection. So she mostly kept to herself. Her smile became her shield. No one would know the hurt behind it . . . the pain in school, the abandonment and abuse at home. Despite it all, Tania always remained confident enough to ask questions. She asked questions in class, in the cafeteria, and at home. Tania felt ashamed of so many things in her life, but she had never lost her desire to learn more. It was less a sense of curiosity and more a longing to improve her place in the world. Early on, Tania figured out life was often unfair. She could let herself drown or find a way out. Asking questions became her rope. If she had a question, she would ask it. Except when it came to her molester. She never talked about it, to anyone. But one day in school her rope became handy. Like most schools, Tania’s held frequent assemblies. One in particular struck a chord. The school invited a local celebrity who’d written a book about the importance of family and faith. Tania thought it seemed somewhat relatable: She longed for her own family and enjoyed the way her church made her feel. And if that constituted faith, hers was strong. Like almost every other public speaker at school, he talked about the importance of education, hard work, and a positive attitude. Yet he also talked about some of his hardships, like being abandoned by his father as a boy and not liking himself. Now he was talking Tania’s language. This was the first time she had ever heard an adult talking about painful moments from when he or she was young. It looked like his life had reached a happy ending. So by the time his talk was over, Tania thought, Why not? Why not ask him how he survived bad times? Tania waited until classmates, teachers, and staff members had asked their questions. The line had probably been about thirty people deep. Tania was the last in line. By now most had clustered into small groups around the room, waiting for the assembly to formally end. The guest speaker was no longer the center of attention in the room. So the moment was right. It was as if Tania and the visitor were standing together alone. She wanted to make sure no one at school could hear what she had to say. “I was nervous, so I wrote the question on a piece of paper.” When she had the visitor’s attention, Tania cleared her throat, looked up over her glasses, and asked: “Mr. Pitts, when you were my age, where did you go, where did you hide, when the world hurt too much?” He seemed stunned by the question. Tania was surprised she’d actually found the courage and the words to ask. For several moments they just looked at each other. Did he hear my question? she wondered. Indeed he had. Hold on to what? she wondered. But she was grateful he’d listened and seemed sincere. Tania had found many points in life when there was power in someone listening, in being heard. The visitor asked permission from Tania’s teacher to leave his business card so the two could correspond. It was a good day. Tania had gotten an answer to her question and a pen pal. The two would write to each other for years to come. That visitor was me. It was a life-changing encounter. For both of us, really. Tania’s question planted the seed for this book. Most of us ask that very same or a similar question in life. Tania is fighting courageously hard to find the answer for her life. By the time she was ready for high school, Tania had survived sexual abuse and her grades had stabilized. She’d already learned many hard lessons in life, and one was the ability to compartmentalize. Based on her foster mother’s income and neighborhood, Tania was assigned to one of the toughest public high schools in the city. But Tania knew of a private school also in her neighborhood, and with the help of her foster mom and the support of others, she applied and got in! It was an all-girls Catholic school that had long been an oasis in a barren land. The daughters of Italian and Irish immigrants had attended the school, and it had been their gateway to college, the middle class, and beyond. African American and Hispanic teenage girls were now taking the same path. From the very first day of school Tania was assigned a platoon of tutors, and a mentor from the upper grades. In perhaps a sign that fate had turned in her favor, a group of alumni and friends of the school created a fund to cover some cost for students like Tania. Proof positive perhaps of the saying “The harder you work, the luckier you get.” Tania had defied her circumstances—who knew there’d be people waiting to help her? But even good fortune comes at a price. This was the most demanding academic and social environment Tania had ever been in, from a strict dress code to nightly homework in every class. In her old public school, by simply paying attention and putting in some work, Tania could outperform at least some of her classmates. That wouldn’t cut it at this school. Hard circumstance, though, had made her a willing participant when it came to hard work. She looked for the positives everyplace she could. Up until now most of the good moments in Tania’s life had come in the pages of her favorite books. Now suddenly good moments were occurring in her day-to-day. For once she felt Harry Potter had nothing on her. Well, maybe only a little bit. Tania struggled academically her freshman year. She did better her sophomore year. But her junior year was a complete disaster. Optimism, big dreams, and a modest support system were not enough to fill the potholes that threatened to swallow up Tania. The emotional scars of abandonment and physical and emotional abuses were showing. By the fall of her junior year in high school Tania was becoming a discipline problem. She was suspended for being disruptive in school and disrespectful of authority. The school could provide nurturing, some measure of discipline, and a strong academic foundation, but it lacked the social services resources to provide someone like Tania all that she needed. Unbeknownst to Tania and her foster mother, one of her old school counselors advocated for an alternative private school for her to attend. After the initial anger, hurt, and embarrassment over her expulsion Tania was in the midst of a comeback. It was Tania as an eleven-year-old who posed the central question raised in this book: Where do you go, where do you hide, when the world hurts too much? She gives her own answer now. Despite her expulsion, the people supporting Tania still believed she could make it to college. While she was at the Catholic school, her love of reading grew beyond fiction to works by Langston Hughes. Paraphrasing his poem “Still Here,” she says, “I’ve been torn and I’ve been battered. My hopes the wind done shattered. Snow done freezed me. Sun done baked me. But I don’t care. I’m still here.” Tania still believes. Where do you go, where do you hide, when the world hurts too much? For Tania the answer is: “Where no one can touch me: my imagination.” In the darkest of moments, Tania says, she has always felt safe in the deepest reaches of her imagination. That helps explain her love of fiction. Her imagination guards her still. Tania doesn’t quite have a village, more like a short assembly line of “angels” who all play valuable roles in her life. She spends very little time on what she doesn’t have, instead focusing on what she does: adults who care and a growing confidence that her life will indeed have a happy ending. Tania graduated high school. In the fall of 2016 she started college. Did Harry Potter make it to college? 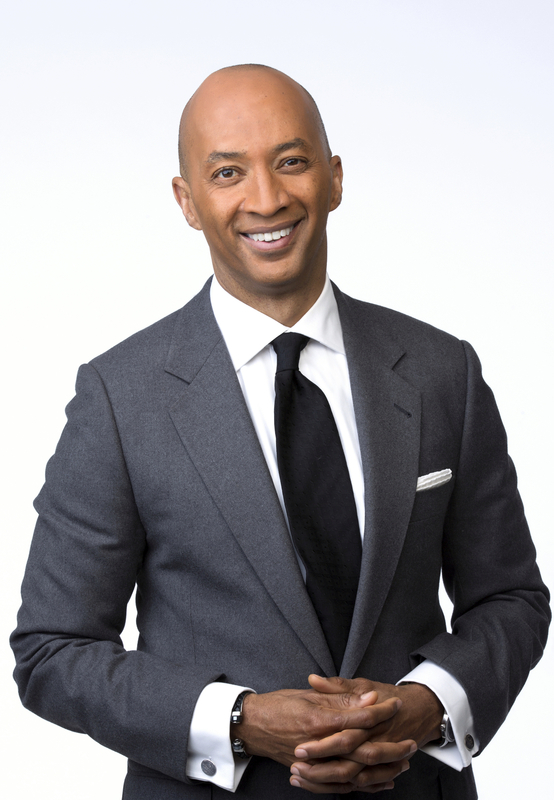 Byron Pitts is a multiple Emmy Award–winning journalist known for his thoughtful storytelling, on-the-ground reporting, and in-depth interviews. A news veteran with over thirty years of experience, Mr. Pitts has traveled around the world to cover some of the biggest news stories of our time including the Florida presidential recount, the tsunami in Indonesia, the refugee crisis in Kosovo, and the Boston marathon bombing investigation. He joined ABC News in April 2013 as anchor and Chief National Correspondent covering national news stories and in-depth features for all broadcasts and platforms including Good Morning America, World News with Diane Sawyer, Nightline, This Week, 20/20, and ABCNews.com, and was named ABC News Nightline coanchor in 2014. Prior to joining ABC News, Mr. Pitts spent fifteen years at CBS News where he served as Chief National Correspondent for The CBS Evening News, filed regularly for 60 Minutes, and won an Emmy for his coverage of the 9/11 terrorist attacks. He was named the National Association of Black Journalists Journalist of the Year in 2002. His 2009 memoir, Step Out on Nothing: How Faith and Family Helped Me Conquer Life’s Challenges chronicled his journey overcoming illiteracy and a stutter to become a journalist. Mr. Pitts is a native of Baltimore, Maryland, and currently lives in New York City. "Although the stories are heartbreaking, they also offer solace and hope to other youth who may be suffering through similar experiences." 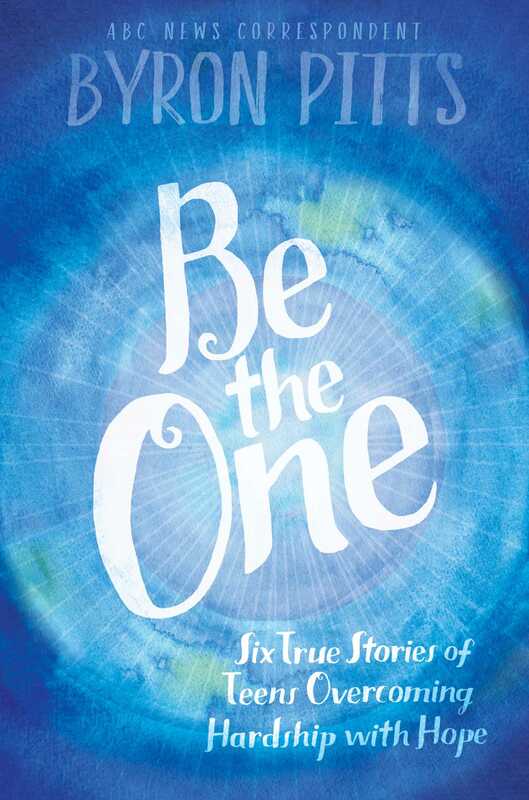 goes beyond typical hero worship to explore the notion of role models in modern society." "Pitts’s sensitive storytelling and deep empathy for young people provide the backdrop for these compelling narratives."